In the run up to the year 2000, the global IT industry mobilised to combat the potential threat posed by the so-called millennium bug. In 2019, those responsible for the health and smooth operation of their organisation's data networks are facing a new, creeping threat from the depletion of IPv4 addresses. Unlike the millennium bug, however, this threat has no defined deadline, no ‘high noon', to encourage action. 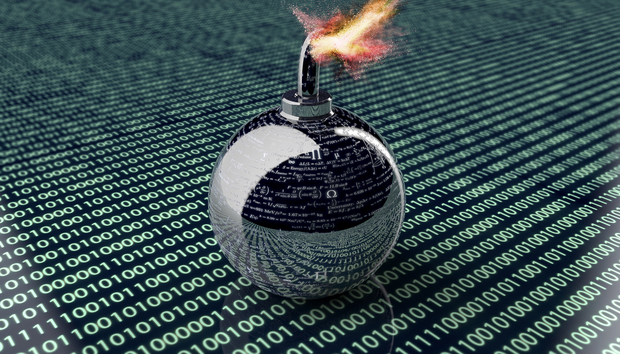 Many large, international organisations are failing to plan for the potential impacts of the inevitable IPv4 shortage or their switch over to its successor IPv6 and, as a result, are sitting on their own personal timebomb that could blow up at any time. IPv4 (Internet Protocol version 4) allows devices to connect to the web. For computers to communicate with each other, a data packet must be transferred across the network containing the unique IP addresses of both communicating devices. IPv4, the most widely deployed internet protocol, uses a 32-bit address scheme, allowing for a total of roughly 4.3 billion unique addresses. When IPv4 was first designed in the early 1980s, this seemed like more than enough, however in the past 12 months, the five international registries responsible for allocating blocks of IP addresses to ISPs have all been reporting that stocks of IPv4 addresses are almost entirely depleted. IPv6, the successor protocol to IPv4, uses a 128-bit address scheme, meaning that it contains a lot more information and can support an incredible number of unique addresses - a total range of 340 undecillion (3.4 x 10^28) possible combinations. The benefits of adopting IPv6 will vary according to an enterprise's requirements, size and structure, but in most cases cost savings are achievable due to networks becoming more efficient and secure. It is also expected that the costs of supporting legacy IPv4 systems will start to rise in the future, while the marginal costs of IPv6 will remain stable. For businesses with a global footprint, another important benefit of IPv6 is improved communications with international trading partners such as China and India, where IPv6 adoption is considerably higher than in the west. The key incentives for IPv6 deployment include the operational simplification that comes from removing overlapping address space from the network, the reduced costs of managing such complex networks and the safe-guarding against shocks to networking business that could arise from additional address space being unavailable at a crucial time. As a result, many larger enterprises, such as Microsoft, are now taking steps to turn IPv4 off, running IPv6-only within the company. In a recent blog, the company describes their heavily translated IPv4 network as "potentially fragile", "operationally challenging", and with regard to dual stack operations (i.e. those running IPv4 and IPv6 simultaneously) "complex". For Microsoft, turning on dual stack operation and then turning IPv4 off is expected to reduce cost and introduce efficiencies. In its 2018 report on the state of IPv6 deployment, the Internet Society found that, while levels of IPv6 adoption were increasing, only 25% of all internet-connected networks advertise IPv6 connectivity. In the same report, Google reports that 49 countries deliver more than 5% of traffic over IPv6 and 24 countries whose IPv6 traffic exceeds 15%. Large forward-looking organisations like Microsoft and MIT have embraced IPv6 as the future, as have countries such as China and India where phenomenal growth in internet connectivity has fuelled a genuine shortage of IPv4 addresses. However, the latest global research suggests that the growth of IPv6 adoption is actually slowing down - and no one seems quite sure why. One factor would seem to be the lack of a defined cut-off date for IPv4 and the urgency such a deadline would create. As it stands, for many enterprises, there is little imperative to make the necessary investment in their networks to deploy IPv6. After all, they would argue, at the moment with IPv4 you can reach 100% of the internet, but only 25% with IPv6. Without a clear business case to switch over to IPv6, enterprise network managers have little hope of accessing the budget they would need to manage such a move. There's also reason to question whether there is an urgent IPv4 shortage at all. Because of NAT (when one external IPv4 might have hundreds of ‘hidden' internal IPs) our world is still able to survive using just IPv4. As far as we know, none of the registers say that you must implement IPv6 if you want to be an internet provider. Moreover, there are lots of ‘jobless' IPv4 addresses out there. This means some organisations have them but have not assigned them to any device. They may hold them because they are planning to sell them or perhaps it simply worked out that way - they acquired more resources then they needed. A quick look at the RIPE transfer list shows that there are more than 0.5 million IPv4 addresses waiting to be leased. One final reason for the slow-down in the uptake of IPv6 may be that until recently there was no global IP addresses management resource where organisations could oversee their entire IP from a single platform. The reasons outlined above suggest that IPv6 deployment is unlikely to fight its way to the top of any CTO's priority list anytime soon, but the dangers posed by low IPv4 stocks should not be underestimated. This being the case, it could be argued that CIOs are the ones who should take the lead in assessing the true risk of IPv4 depletion for their organisations and find a space for IPv6 migration on the C-suite agenda. For now though, for the majority of businesses, the timebomb looks set to keep on ticking. Vincentas Grinius is CEO & Co-Founder of Heficed. Grinius is a vision-driven progressive IT entrepreneur with deep technical understanding and commercial acumen. Grinius brings to bear over 17 years of experience in conceiving, developing and leading successful IT businesses.